Each French region has its own regional rail network, which are integrated as part of the larger SNCF national rail system. This is usually branded as TER (Transport Express Régional), although regional trains in Île-de-France operate under the Transilien brand and regional trains in Corsica operate under the name CFC (Chemins de fer de Corse). While high-speed trains like the TGV are a great way to cover large distances, regional trains are the best way to explore France. 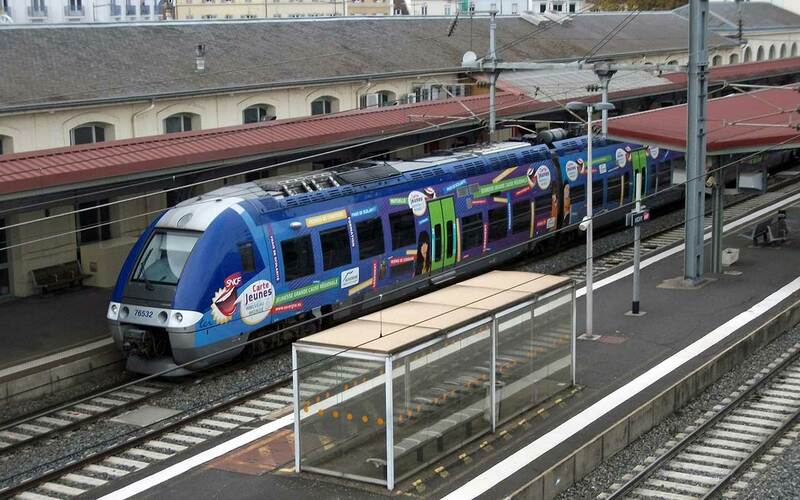 They are a safe, comfortable and reliable way explore the regions of France with frequent rail services connecting major towns and cities with smaller towns and villages. 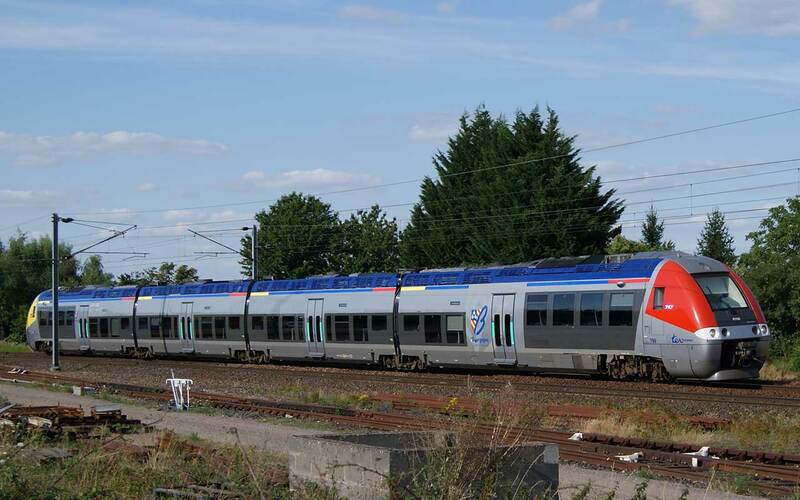 In the environs of large cities like Lyon, Marseille, Nice, Paris and Toulouse these trains operate like suburban railways, particularly in the Île-de-France region; but also connect regional towns and small rural villages. 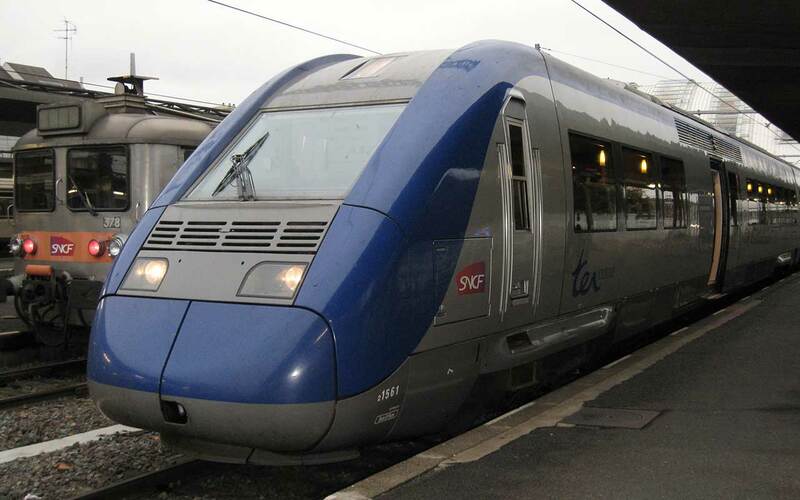 Unlike some high-speed and long-distance trains, reservations are not required to ride regional trains in France. This means that Eurail and Interrail passes can be used on all regional trains without having to pay a reservation fee. TER Alsace is the regional rail network of the Alsace region. Strasbourg is the hub of the network and the most useful lines include the line that connects the three main cities of the region (Strasbourg, Colmar and Mulhouse), the lines linking Strasbourg with Basel in Switzerland and Saarbrücken in Germany and the line connecting Strasbourg with Metz and Nancy in the Lorraine region. 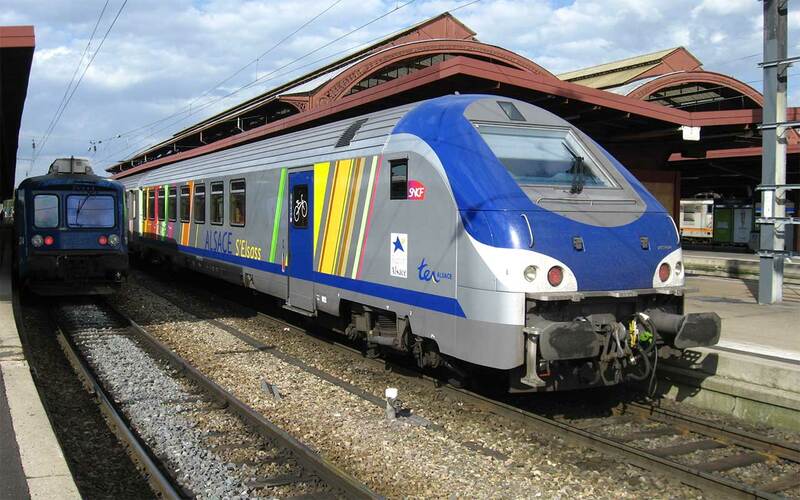 TER Aquitaine is the regional rail network serving the Aquitaine region in southwest France (essentially the region between Bordeaux and the Spanish border including some inland areas like Agen, Bergerac, Pau, Périgueux and Sarlat). The line between Bayonne and Saint-Jean-Pied-de-Port is popular with travellers undertaking the Camino de Santiago. The most scenic route on the Aquitaine regional rail network is the Autorail Espérance between Bergerac and Sarlat. TER Auvergne is the regional rail network in the Auvergne region. This is a seldom-visited and sparsely-populated region in central France that includes the city of Clermont-Ferrand. The TER Auvergne rail network is centred on Clermont-Ferrand and includes lines to neighbouring regions including routes to Lyon, Nîmes, Saint-Étienne and Toulouse. TER Bretagne is the regional rail network in Brittany (Bretagne) in northwestern France. It includes routes linking all the main towns and cities in the Brittany region including Brest, Quimper, Rennes and St Malo plus routes to cities in neighbouring regions including Caen, Le Mans and Nantes. TER Bourgogne is the regional rail network in Burgundy (Bourgogne) in central eastern France. Most railway lines in this region radiate from Dijon and the TER Bourgogne regional rail network includes lines to cities in neighbouring regions including Lyon and Paris. TER Centre-Val de Loire is the regional rail network in Centre-Val de Loire, the large region southwest of Paris that includes Orléans and the Loire Valley. The TER Centre-Val de Loire rail network includes trains to cities in neighbouring regions including trains to Le Mans, Limoges, Nantes and Paris. Useful routes for travellers include the line linking the main towns of the Loire Valley (Tours–Amboise–Blois–Orléans) as well as the Le Mans–Chartres–Paris-Montparnasse and Tours–Paris-Austerlitz lines. TER Champagne-Ardenne is the regional rail network in the Champagne-Ardenne region east of Paris. The network includes lines linking the Champagne-Ardenne region with cities in neighbouring regions including Amiens, Lille, Nancy and Paris. The Chemins de Fer de la Corse (CFC) is a relatively small regional rail network centred on Ponte-Leccia with three lines going to Ajaccio, Bastia and Calvi. The most popular line with tourists is the line that follows the northwest coast between Calvi and l’Île-Rousse, which provides access to several beaches. The railway network in Corsica is independent of the SNCF, which means that rail passes such as Eurail and InterRail are not valid on Corsican railways. However there is a regional rail pass, called the Pass Libertà, that gives you seven days unlimited rail travel in Corsica for €50. TER Franche-Comté is the regional rail network in the Franche-Comté region in eastern France. The main TER Franche-Comté route is the Dijon–Dole–Besançon–Montbéliard–Belfort line, which runs through Franche-Comté connecting it with cities in neighbouring regions. The most scenic line in Franche-Comté is the Ligne des Hirondelles between Dole and Saint-Claude. The Transilien (the name of the regional rail network in the Île-de-France region) is primarily a suburban rail network that consists of eight rail lines radiating from Paris, however it does extend beyond the borders of the Île-de-France region and also allows you to travel to outlying towns in the rural area outside Paris. Many people travel on Transilien trains to make day trips from Paris to the château at Rambouillet. TER Languedoc-Roussillon is the regional rail network in the Languedoc-Roussillon region on the southwest coast of France. Its main routes include a coastal line linking Perpignan–Narbonne–Béziers–Sète–Montpellier–Nîmes with Avignon and Marseille plus a route linking Narbonne with Carcassonne and Toulouse. The most scenic TER Languedoc-Roussillon route is the Ligne de Cerdagne/Train Jaune (yellow train) between Villefranche-de-Conflent and Latour-de-Carol-Enveitg (near the border with Andorra). TER Limousin is the regional rail network for the Limousin region. Most of the TER Limousin network is centred on Limoges, although the network extends to neighbouring regions with lines to Angouleme, Clermont-Ferrand, Perigueux and Poitiers. TER Lorraine is the regional rail network for the Lorraine region. Most TER Lorraine rail lines pass through Nancy and the network extends to neighbouring regions (and countries) with trains to Reims and Strasbourg as well as Luxembourg and Saarbrucken (Germany). TER Midi-Pyrénées is the regional rail network for the Midi-Pyrénées region. Most rail lines in the Midi-Pyrénées region are centred on Toulouse and some lines extend into neighbouring regions including lines to Agen, Beziers, Carcassonne and Pau. TER Nord-Pas-de-Calais is the regional rail network in the Nord-Pas-de-Calais region in northeastern France with most lines centred on Lille. 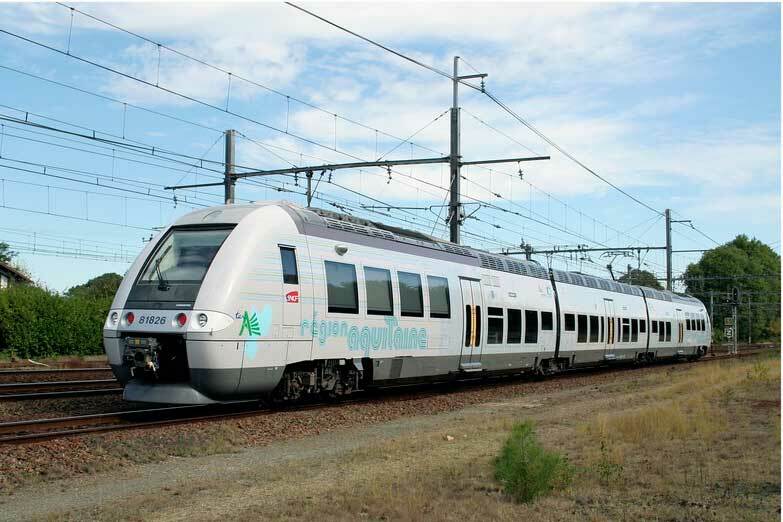 The network has several high-speed regional lines (called TER a Grande Vitesse) including Lille–Arras, Lille–Calais–Boulogne-sur-Mer and Lille–Dunkerque. TER Pays de la Loire is the regional rail network in the Pays de la Loire region. Most rail lines in the region are centred on Nantes and some lines extend to neighbouring regions and include trains to Caen, Orleans, Paris, Quimper and Tours. and some lines extend to neighbouring regions including trains to Lille, Paris, and Reims. 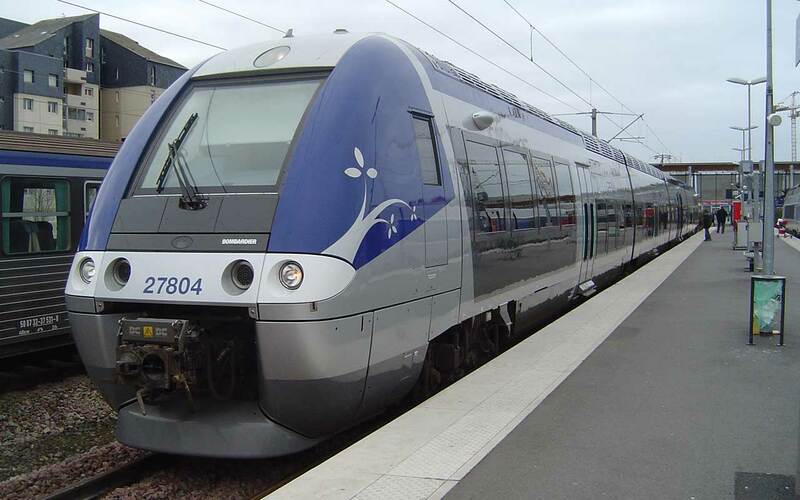 TER Poitou-Charentes is the regional rail network for the Poitou-Charentes region with lines connecting La Rochelle, Angouleme and Poitiers including trains to cities in neighbouring regions including Bordeaux, Limoges and Tours. TER Provence-Alpes-Côte-d’Azur is the regional rail network in the Provence-Alpes-Côte-d’Azur region. It links the main cities in the region (Aix-en-Provence, Avignon, Marseille and Nice) with smaller seaside towns and the line that runs along the Côte-d’Azur (connecting Cannes–Nice–Monaco–Menton–Ventimiglia) is a particularly frequent service. TER Rhône-Alpes is the regional rail network in the Rhône-Alpes region. The network is centred on Lyon and there are also frequent services connecting other large regional cities such as Aix-les-Bains, Chambéry and Grenoble. The network extends beyond the borders of the Rhône-Alpes region with services to Avignon, Clermont-Ferrand, Dijon and Geneva.